20 Scandinavian-inspired projects to sew. Lagom is a Swedish philosophy for balance. Nicely designed projects, but I did think some of them looked for Swedish than others. There are projects to fall in love with here. Use stash and scraps to make simple designs that can transform your home or make perfect gifts. Step by step instructions are accompanied by excellent photos. Full-size templates are included too. You’ll find a basic techniques section. Favourite projects for me are the apron, plant pot cover, tote bag, apple kitchen set and the fabulous fabric basket. 18 beautiful modern quilts inspired by travel in the Southwest from Maria to New Mexico. Ancient motifs are transformed into contemporary quilts. 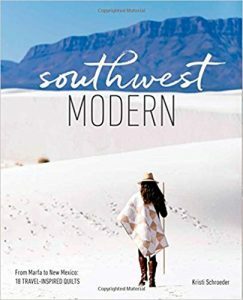 This book contains imagery from the Southwest used to inspire and inform the design process. In truth the travel seems to have informed colour and little else. The fantastic scenery and imagery is not found on the quilt designs. I found it quite disappointing in that respect, and felt that the idea to marry the quilts to the travel idea was a little lacking, just a story to find a hook for the book. Nevertheless, the actual quilts are stunning and the book is beautifully produced with stunning photos and easy to follow instructions. There are templates at the back of the book. Modern and exciting improvisational methods of quilting. Great on design, colour and machine quilting with projects you’ll want to make. This is the sort of book where you want to start making immediately. The projects look fresh and usable and are based in tradition. 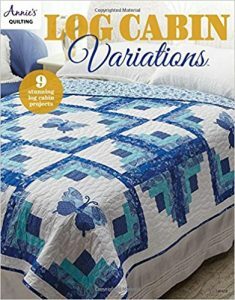 This book introduces three improv piecing techniques and traditional techniques such as log cabins and needle turn appliqué to marry old and new with a complete twist. There are 18 projects in all with a wide range of appeal. 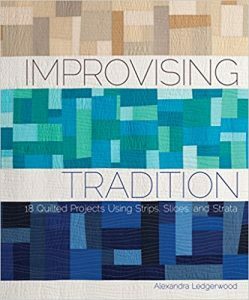 The book includes Creating With Strips, Strata and Slice and Insert improv methods. There are design tips and information for quilting on your home machine as well as special instructions for piecing curves, sewing triangles, quilt as you go, needle turn appliqué and hand quilting. Instructions are very clear and beautifully presented and include at-a-glance Materials, cutting and finished size, construction and excellent photographs and diagrams. Projects include baby quilts, cushions, throws, table runners, coasters, wall hanging, table mats and quilts in different sizes. Recommended. 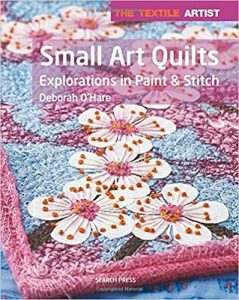 Subtitled ‘Explorations in Paint & Stitch’, this book explores the flourishing textile art quilt movement. This is ‘art quilt’ as in creating pictures on fabric and using wadding as a sandwich, not the Art Quilt Movement that uses quilting to make a statement. It explains techniques by hand and machine to guide you through the process. Step-by-step instructions reveal the techniques offering guidance for every level of skill. Close-up photography shows the detail wonderfully. Find out all about the materials for art quilting, inspiration, using photos, design, colour, painting on fabric and creating small art quilts then embellishing them. Finishing techniques and some templates are included. Another good addition to the Textile Artist series. Sadly nothing new, painting techniques have been covered in many books on textiles, but lovely work. 75 inspiring free-motion quilting block designs. Easy to see, easy to use and the spiral binding allows the pages to lie flat. The design is split over two pages for many of the designs however, so you need to hold the book at a slight angle first to see the genre of the design clearly. That’s far better than trying to hold open a book with a fixed spine. Useful for both domestic and longer machines, the designs come form various artists and they are all curvilinear designs. Lots of ideas and inspiration however there is no starting place marked on the designs, so it is difficult to know where to begin to stitch – you would have to work that out for yourself. 75 free motion designs for all-over quilt patterns. Spiral bound so the book lies flat, but many designs are over two pages. 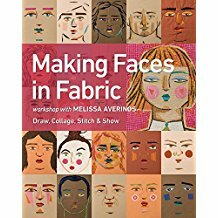 Line drawings are clear and as such this book could inspire quilting patterns to use and develop. However if you are new to free-motion, this book does not provide an arrow where to start stitching. The designs may have appeared in other published books. 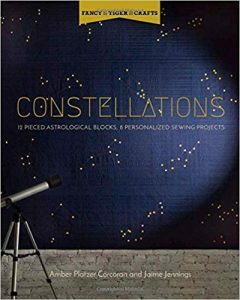 Subtitled ’12 Pieced Astrological Blocks, 8 Personalised Sewing Projects’, this book includes blocks for each of the astrological signs. These modern blocks include clean lines. For each one, you will see a large colour image, cutting and assembling instructions with a clear line diagram presented over a two-page spread. The authors have included typical characteristics of each sign. The book also includes a block for Orion, one of the most famous constellations. I do like the blocks, but they all look very similar, the only difference is in the scattering of the yellow blocks. In Part Two, you will discover eight ways to use the blocks from a large quilt, another quilt in various sizes, a table runner, jacket, tea towel, cushion, tarot reading cloth and tote. In Part Three, find out how to use the blocks and star designs in any project you wish. 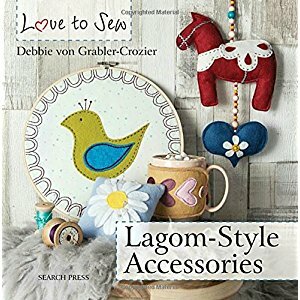 This book also includes simple embroidery stitches and how to make a tassel. The book has a full-sized, pull-out pattern for the jacket. 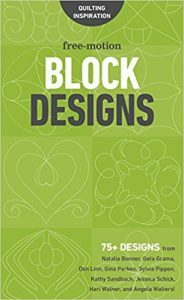 The book provides ample inspiration to make your own individual blocks and personalise the contents by adapting the blocks, using different quilting stitches to enhance the blocks and so on. Everyone loves a traditional block and log cabin tends to be a favourite. It’s also a favourite to swing the changes. There are 9 possibilities to do just that in this book. 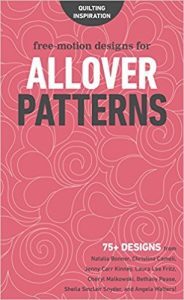 Find 9 patterns, with instructions and techniques in this book that has superb photos. It’s hard to chose a favourite quilt; I liked them all. The skill levels are graded. The patterns include table runners, a baby quilt, full sized quilts and smaller quilts and a quilt that uses scraps. There is also a techniques section on raw-edge fusible appliqué, a butterfly template and a quilting basic section. Superb variety of quilt patterns offers good value for money.